Offers > Splunk > Through the Looking Glass Table, Issue # 1: Who Spilled the Data? Alice Bluebird, a quirky security analyst for hire, is hunting down a nation state of hackers thirsty for the recipes of Frothly, a cutting-edge craft brewery. Follow Alice as she works to solve the mystery of the breach. Did she catch the incident before the hackers managed to steal Frothly’s super secret formulas? Did the hackers act alone or — scarier yet — did they have help from the inside? 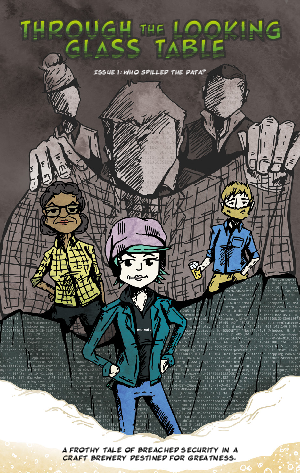 In this light hearted graphic novel “Through the Looking Glass Table”, discover how machine data, as well as an analytics-driven platform, log management, SIEM, UEBA and SOAR solutions, can help anyone — IT managers and sophisticated SOC analysts — better understand and respond to incidents, breaches, phishing attempts, insider threats and more.